Proactive planning is the key to managing tax liabilities for both businesses and individuals. Start planning your tax strategy today by working with our highly experienced Cleveland, OH CPA firm. We're constantly studying the tax code and developing new techniques to save our clients the most money on taxes. 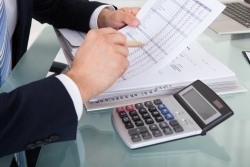 At Hryshko & Associates, we offer tax planning services for businesses at every stage. For new business start-ups, implementing the right tax strategy at the outset can make all the difference in profitability later on, so we create short and long-term tax plans that encourage sustainable profitability and growth. For mature businesses, we'll review your current structure and implement any changes needed to increase profits. No matter what stage your business is in, we'll be sure it's positioned to take advantage of all tax deductions allowed under state and federal law. Are you an individual or business owner who's interested in lowering your tax burden? Call us at 330-220-2722 and ask to speak to a tax accountant now or request a consultation online and we'll contact you.